Russian government proposes to extend capital amnesty once more | Russian Legal Information Agency (RAPSI). 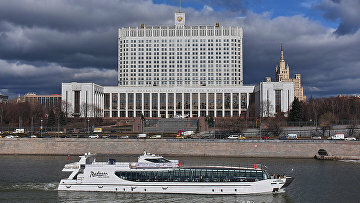 MOSCOW, April 12 (RAPSI) – Russia’s Cabinet of Ministers has submitted bills extending the timeline for capital amnesty in Russia until March 1, 2020 to the State Duma, a statement released by the government reads. The capital amnesty was implemented in Russia in two steps, from July 1, 2015 to June 30, 2016, and from March 1, 2018 to February 28, 2019. According to the legislative measure, applicants were able to voluntary declare their bank accounts and deposits in foreign banks. They were also able to declare their accounts and deposits opened before the set date but closed before filing an application. The applicants, who did so, were indemnified against tax, administrative and criminal liability. Under the proposed amendments, the timeline for the voluntary declaration of assets and bank accounts by individuals would be extended subject to repatriation obligation, official registration under the re-domiciliation of foreign firms controlled by them in special administrative areas of Russia. Certain fiscal loosening would be also given to such applicants. The provided guarantees would be extended to applicants’ actions committed prior to January 1, 2019.